Surrey fencing experts at QS Fencing have recently published a blog featuring tips on getting rid of an old fence in the best possible manner. More information is available at http://www.qsfencing.ca/blog/4-tips-removing-old-fences/. The blog provides 4 useful points to consider before removing an old fence from one’s property. QS Fencing, a Surrey fencing company, has recently published some very useful tips on removing an old fence in the best possible manner. The fencing experts at QS Fencing believe that an old fence with peeling paint and breaking pickets can dramatically devalue one’s property. As a result, it becomes tempting to grab a hammer and get rid of the fence. But acting whimsically can prove to be damaging in such a scenario. In order to avoid any problems in the future, it is necessary to remove the old fence carefully. The blog provides 4 useful points to consider before removing an old fence from one’s property. The first tip states that the home owner must ensure that they own the fence. This could save legal and reputational costs. The second tip advises the readers to talk to their neighbors and reach a mutual settlement. The third tip states that one should be careful with the utility lines and the fourth one advises to hire a professional to install a new fence properly. Established in 2010, QS Fencing is a young family-owned business that aims to provide quality products and superior service. It is a Vancouver Fencing Company that is licensed and insured. All their employees are WCB insured as well. 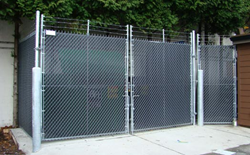 QS Fencing serves the geographical areas of Vancouver, West Vancouver, North Vancouver, Burnaby, New Westminster, Coquitlam, Port Coquitlam, Port Moody, Maple Ridge, Richmond, Surrey, and Delta, BC. To place an order at QS Fencing, visit http://www.qsfencing.ca or call (604) 345-5145.